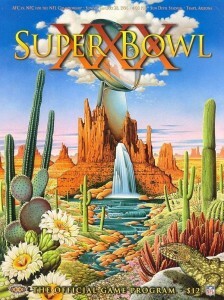 The Super Bowl has become something so big that, for many, it is not even about the game itself. 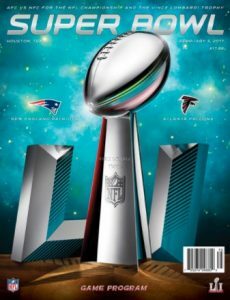 Along with deciding the yearly NFL champion and showcasing a ton of expensive commercials, the Super Bowl represents a great opportunity for collectors. 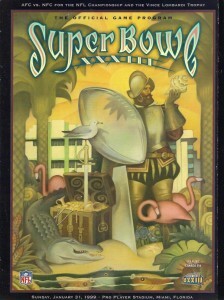 Super Bowl programs remain appealing to this day due to their continuity and display potential to celebrate the big game. 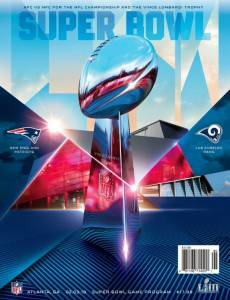 The following guide covers the collecting side of Super Bowl programs and offers a complete visual guide to each release. 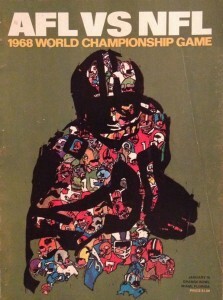 The history of the Super Bowl program starts with the very first title game between the AFL and NFL in 1967. 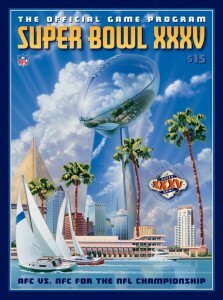 Although it was not known as the Super Bowl at that point, it would not take long for the name to become synonymous with one of the biggest annual sporting events in the world. 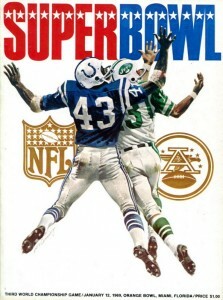 The 1969 title game program was the first to feature Super Bowl on the cover and, to date, the only one to feature an action image of the two teams. 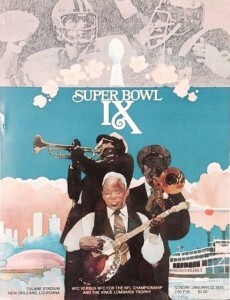 While it took a few years for the Super Bowl program to hammer down a specific style, starting in 1976, the actual trophy became a major feature of the cover along with something indicative of the city where the game was being held. 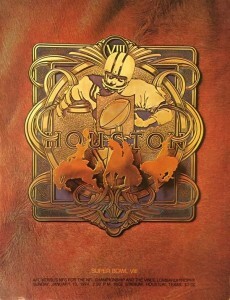 That basic design has continued up to the present day. 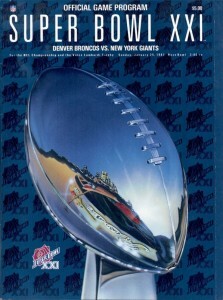 Many collectors will also notice that the designs on the Super Bowl programs largely coincide with the Super Bowl ticket stubs from each game. 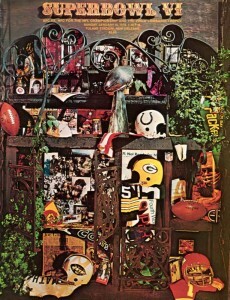 This presents an intriguing combo keepsake for collectors. 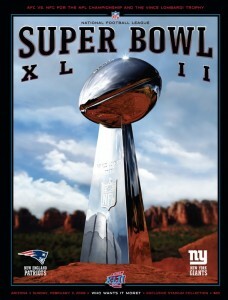 Replica Super Bowl rings have also proven very popular with collectors. 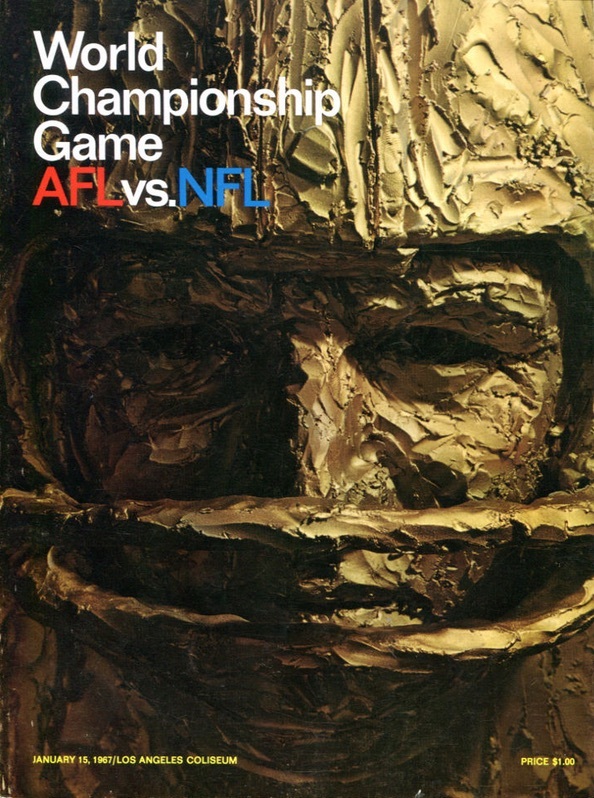 Programs can be found for title games that pre-date the Super Bowl-period of the NFL, as well, and they are also quite valuable. 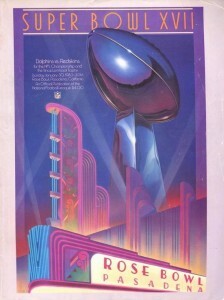 Although the interest in Super Bowl programs remains strong across the board, the most lucrative options came in the first few decades of the big game. 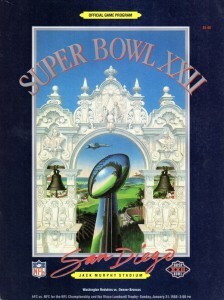 The very earliest Super Bowl programs are the most notable, especially the first two games, which can push near $1,000 for a ticket-and-program combo. 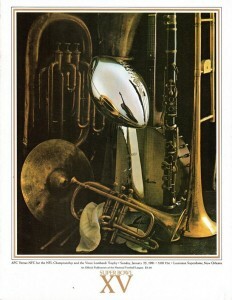 Like any other collectible, the condition is very important in terms to value. 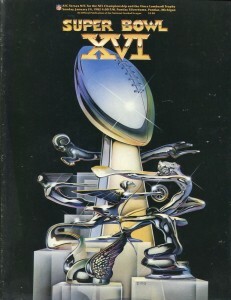 However, unlike other options like ticket stubs or sports cards, grading is not a common practice for Super Bowl programs. 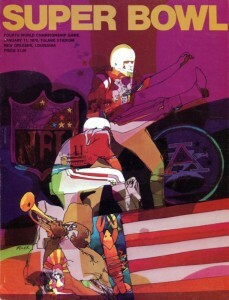 This means that collectors need to pay special attention to images when shopping for older programs. 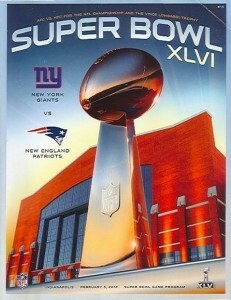 Obvious defects, such as creases or rips, will decrease the value, as well as loose or missing pages. 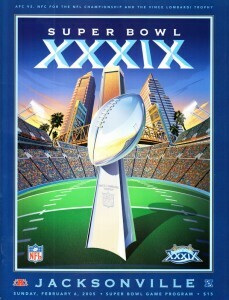 Given the specific connection to the game, it is also common to find signed versions from the players of the winning Super Bowl team. 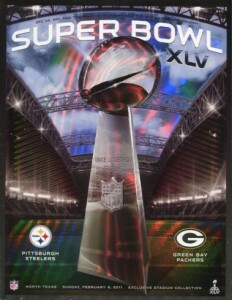 Full team-signed Super Bowl programs or single-signed versions by top players have an added premium. 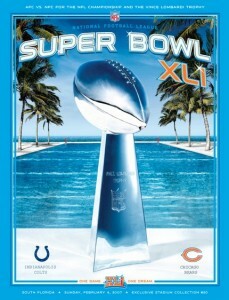 Shop for Super Bowl Programs on NFL Shop. 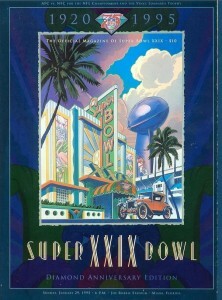 A key interest for many collectors who pursue Super Bowl programs is acquiring the editions that were actually distributed at the Super Bowl. 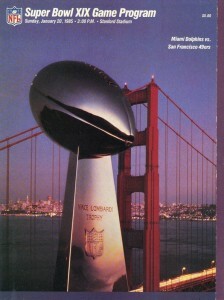 This was a very simple prospect during the early years because there was only one option and it was found at the game. 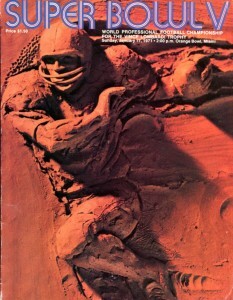 As the event and audience became bigger, the NFL started releasing an edition at newsstands and other retail avenues. 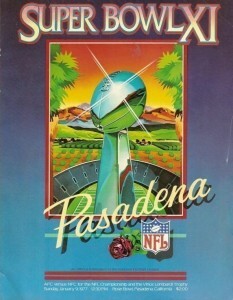 For many years, it was still easy to distinguish these versions because the retail edition included a UPC code on the front of the program. 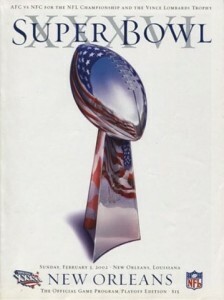 However, starting in the 2000s, more editions entered the fold. 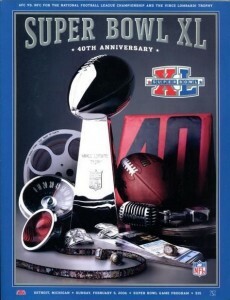 Now, there are multiple versions of the Super Bowl program, and most years can have five versions that are all very similar. 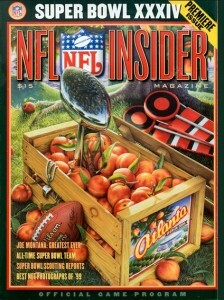 The editions at newsstands can be found with and without UPC codes. 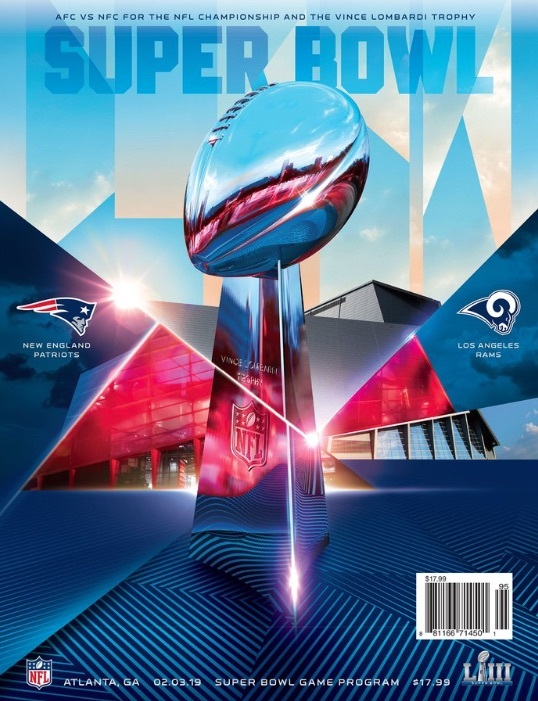 Since they are printed and distributed ahead of the Super Bowl, they do not normally feature the team logos, making them easier to spot. 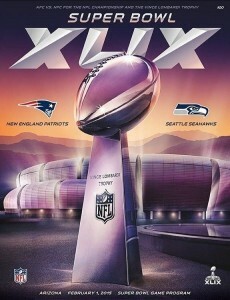 There are also "Official Super Bowl Programs" that come with and without UPC codes and include the team logos. 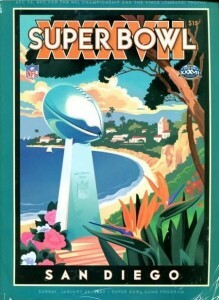 They are also found at various outlets. 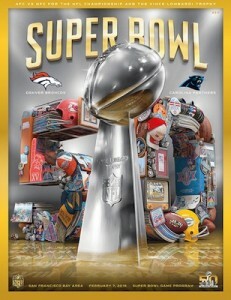 Lastly, there are Hologram or "Holographic Stadium Collection" editions that are sold at the Super Bowl. 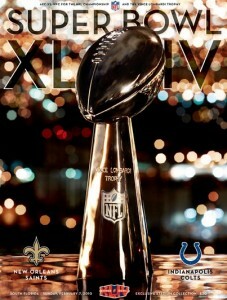 The metallic cover makes them very easy to spot. 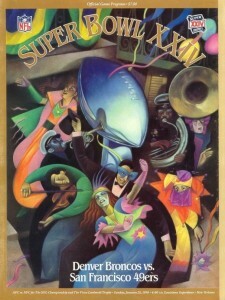 In addition to those standard paperback editions, there are occasionally hardcover editions that normally have a limited print run. 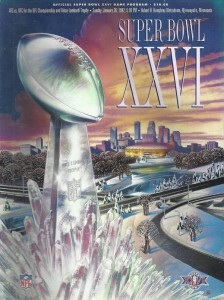 And if you like the art used on the covers but don't really care about the Super Bowl program itself, Fanatics sells licensed canvas prints for every Super Bowl game. 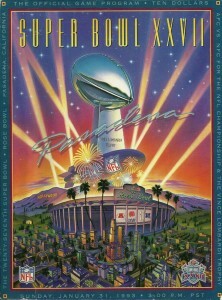 The full gallery showcasing each of the Super Bowl programs can be seen by using the tab above. 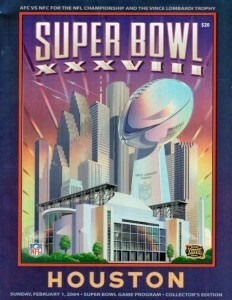 Only one main version is shown for each year. 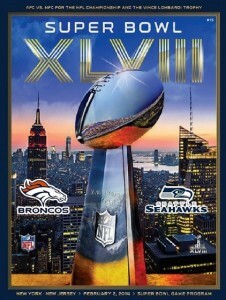 Click on the images or listings to shop for Super Bowl programs on eBay and to check values and prices. 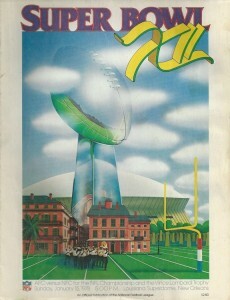 SPLENDID NFL SUPER BOWL # 12 PROGRAM, FROM JANUARY 15, 1978 ......ALMOST MINT !! 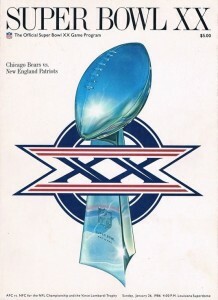 Both SB III and SB IV are rare, but SB IV programs are somewhat more plentiful because the NFL printed a “collector’s edition” which featured all four league championship game semifinalists. 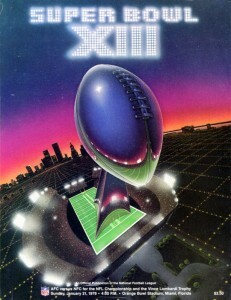 Despite the name, this is not the more desirable program. 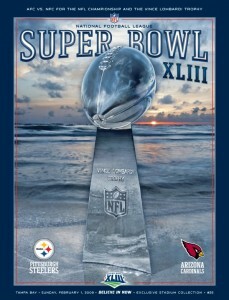 You want the “stadium edition” which featured just the two finalists, Vikings and Chiefs. 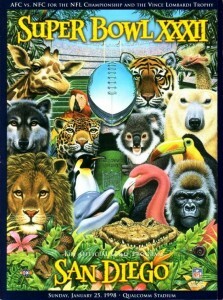 If you find one on ebay, make sure the seller clearly identifies which one he is selling. 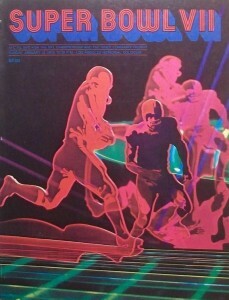 DAVID BOSS SAID IN 1988 THAT 50,000 TO 60,000 PROGRAMS WERE PRINTED ON AVERAGE FOR THE FIRST 10 PROGRAMS. 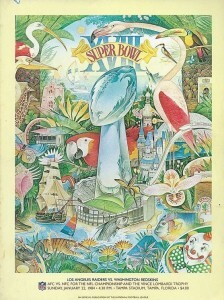 HOWEVER, ONLY 40,000 PROGRAMS WERE PRINTED FOR SUPER BOWL 5. 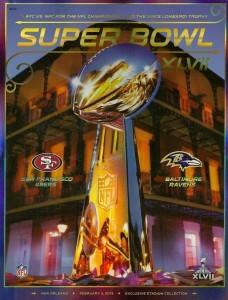 SUPER BOWL 5 PROGRAM IS THE RAREST EDITION. 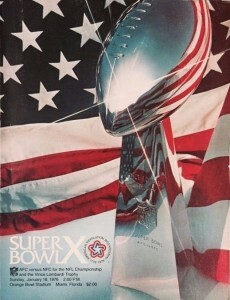 BOSS ALSO DISCUSSED IN 1976 THE FACT IN SUPER BOWL 10 PROGRAM THAT SUPER BOWL 2 TRUCK SLID OFF THE ROAD. 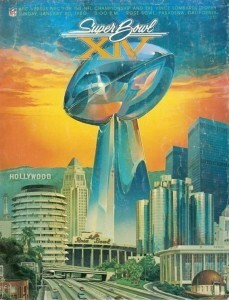 DAVID BOSS OF NFL PROPERTIES PUBLISHED THE FIRST 25 SUPER BOWL PROGRAMS. 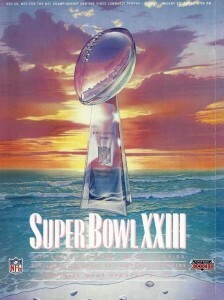 I ALSO ONCE OWNED A COLLECTOR’S EDITION OF THE SUPER BOWL 3 PROGRAM. 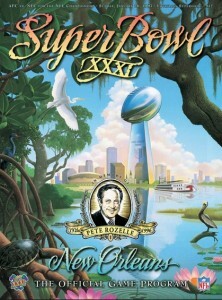 PROBABLY RARER THAN THE SUPER BOWL 4 COLLECTOR’S EDITION. 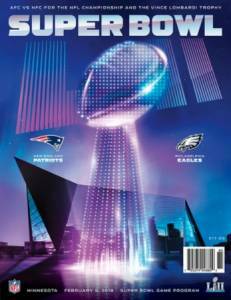 FOR THOSE OF YOU LOOKING FOR VALUES FOR YOUR SUPER BOWL PROGRAMS AND TICKETS, JUST CHECK THE ARTICLES NOW ON THE INTERNET. 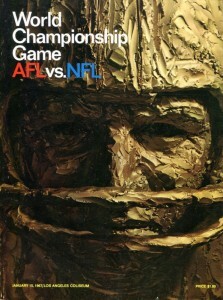 I have a complete ticket stub for the NFL AFL Championship game in 1967 (LA). 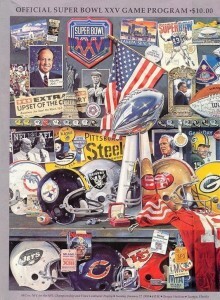 I see a wide range of selling prices. 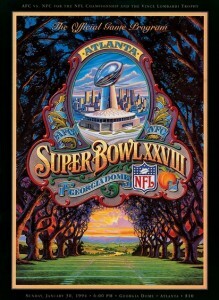 From $34,000 -$202,000.00 for an impeccable complete ticket.. Who determines the value of the ticket and who makes the condition (value), and how would I contact this organization?